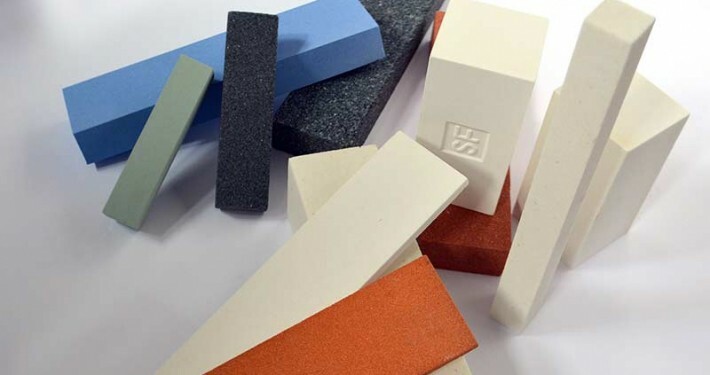 Dressing stones are used for both, dressing diamond grinding wheels and CBN grinding wheels and also for dressing conventional grinding wheels. Diamond grinding wheels, CBN grinding wheels and drill bits require a sharpening process after longer usage periods. 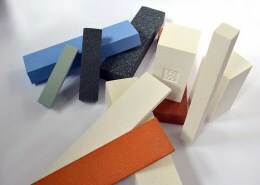 This sharpening process removes the blunt diamond grains and brings out the underlying grains. The sharpening process takes place at working speed. 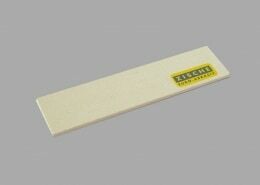 Our sharpening stones are adapted to this working method. 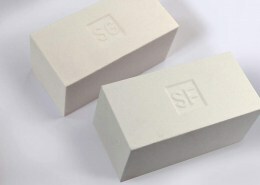 A wet application is advantageous for those CBN and diamond tools that are only used wet. These should also be sharpened wet in any case. HOW DO THE DIFFERENT DRESSING STONES DIFFER? 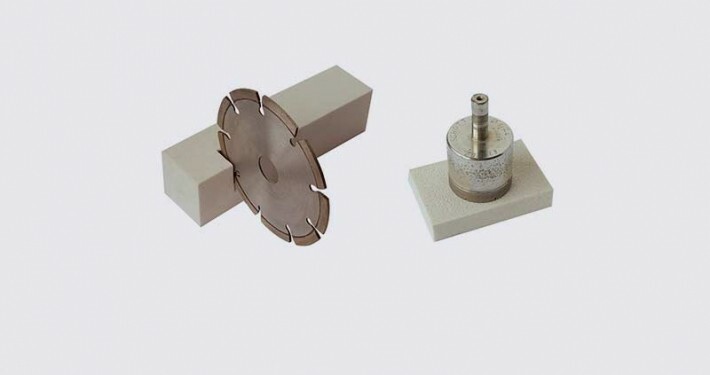 The diamond and CBN grinding wheels are sharpened using a soft sharpening stone by “opening” the bond and exposing new CBN or diamond grain tips. 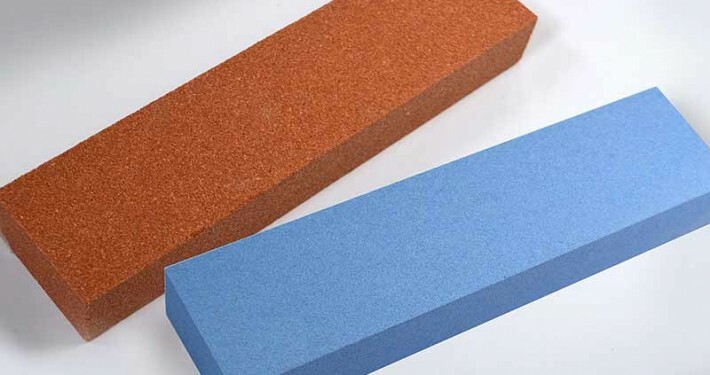 The diamond and CBN grinding wheels are sharpened using a soft sharpening stone by “opening” the bond and exposing new CBN or diamond grain tips. Dressing rings or grinding rings for the regeneration of diamond grinding wheels and CBN grinding wheels in double grinding machines. 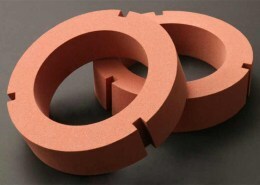 ARE YOU LOOKING FOR DRESSING STONES FOR DIAMOND AND CBN GRINDING WHEELS?